In the world of Instagram growth hacking, it is well known that the popular automation service Instagress has been shut down for good. Unfamiliar with Instagress? It was a good automation tool that people used to increase followers and likes on their accounts. It allowed accounts to automatically post on specified schedules, auto-like pictures, auto-comment on posts, and more. Although it was a popular service, it has since been shut down for good. Why was it shut down? What should you do now? We cover everything you need to know in this post. Instagram has safeguards put into place that will shut down an account if it shows signs of using automation. In other words, you can have your account shut down permanently if you use automation tools recklessly. That's why it's important to know what you're doing if you're going to push the limits beyond organically following, commenting, and liking. Many users appreciate Instagram's stance on bots and automation, as it gives a better experience. But just because Instagress is gone doesn't mean the world of growth hacking Instagram follows and likes is gone forever. There are still ways to rapidly grow your account. Are Services Like Instagress Safe? Instagress is gone, but you have other options. Just make sure to be careful when using automation, and make sure you don't go past what Instagram considers 'normal activity'. Or use a professional service like ours (we have a great Instagram followers free trial). We guarantee your account will grow, and you won't have to worry about getting banned. So, how can you grow Instagram follows and likes quickly if Instagress has been shut down? Want an easier way to find users in your Instagram niche? Automated tools make it extremely easy for you to grow you Instagram account in a more similar fashion to Instagress. These tools will allow you to grow your numbers rapidly without having to fumble around with all the work required by manual tools! Instamacro allows you to automate your Instagram interactions. It uses bots that you manually program to your specifics. The bots are similar to Instagress automation, and can follow on your behalf. You can also program in specific intervals of follows/minute on the accounts you target. The main issue with Instamacro is that you need to be wary of the guardrails that the Instagram platform has set-up. If you go over the limits of follows, comments, or likes that Instagram considers suspicious, your account can be shut down. In some cases, your account can be shut down permanently, erasing all of the work and time you spent building followers. If you need some guidance on how to use automation in a way that is safe, consider using Social Network Elite. Our team uses organic and automated strategies to increase your followers, and we guarantee that you will not be blocked or banned. Instamacro is also an expensive option considering the risks. Their plans can cost more than $100, while exposing you to risk of your amount being shut down if you don't use it correctly. With that being said, Instamacro is a great option for experts on the forefront of the latest updates to the Instagram Algorithm. If you're willing to take the risk, and spend the money, this is a good choice. Instato.io is another automated service that boasts a quick return on the number of followers you will receive. It is the most similar option to Instagress as it automates interactions and includes all the same functions as Instagress. It is a little easier to use, and less technical. Automated Tools: What's The Catch? Automated services don’t require much manual effort. Therefore, you may not set them up to their most effective capabilities. 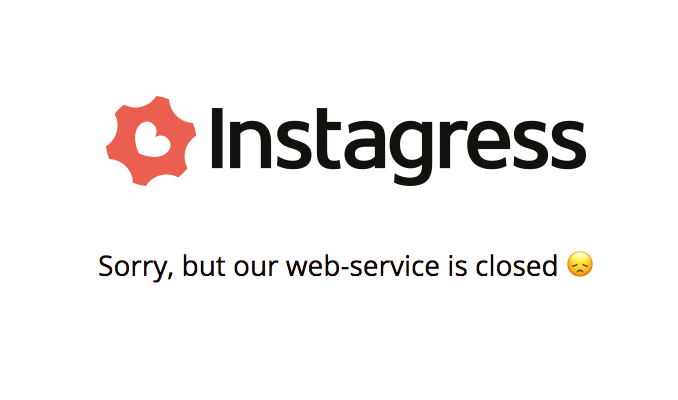 If you used Instagress before it was shut down, this probably isn't a big deal for you. Unfortunately, many automation tools are more expensive than Instagress was, so it's more important to be effective if you're using them now. Otherwise, you can lose ROI quickly. In addition, you must do your own research to know your target audience, since these tools will not do that for you. It's easy to get the wrong types of followers. It's also easy to have the tools leave the wrong comments that don't seem genuine. It can be awkward when you see your account say "Great!" on a depressing post, just because the user was following an account that you targeted. As discussed above, the biggest risk is your account getting banned or shut down. If you use automation, you should know what you're doing. Otherwise, you can easily go from building followers to nothing in seconds. All of this, along with usual poor customer service, make using automation an option, but not necessarily the best option. If your goal is big numbers in a short amount of time, have at it. Just know you run the risk of being blocked or acquiring followers that are not even real. Another good alternative to Instagress is to use manual tools that you can download. Many of these are low-cost or free, and will help you increase the amount of followers and likes you get. There are many options, but here are a few of the most popular. Hootsuite is one of the most popular social media management applications. Hootsuite allows you to see all of your account activity (even across multiple accounts and platforms), engagement with your audience, and performance analytics. It is especially popular among businesses using social media accounts to market their services. Hootsuite has different plans that range from $0-$499/month. In general, it will give you better ways to manage your account in a way that grows follows and engagement. It is a great option for small businesses who need to collaborate, schedule out content, and watch their industry peers. Another great tool is Sprout Social, a renowned social media management tool. Like Hootsuite, Sprout Social makes it easy to schedule and publish Instagram posts from a simple to use interface. They also provide a content management tool set that allows your posts to remain on brand. Sprout Social is an especially powerful tool. It allows you to have more insight into what you're posting, what is working, and what is not. 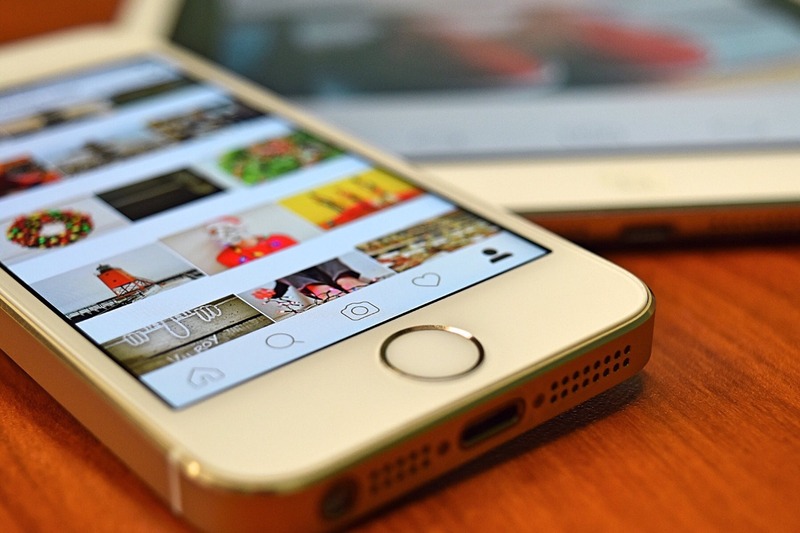 If you want to manage Instagram more effectively, and have data that provides the best insights, Sprout Social is a fantastic choice. Manual Tools: What's The Catch? These manual tools are very useful if they are used correctly. However, they do have major downsides when compared to Instagress. Especially when it comes to how many new follows and likes you'll generate over a short period of time. Manual tools do not provide users with immediate results. You still have to do all of the hard work when it comes to posting great content, using the right hashtags, and engaging with accounts who care about your niche. This requires a lot of time and dedication. Manual tools will help you create a high-quality audience of followers, but at a cost in time and money. It's really a trade-off between quantity and quality. Are these the right fit for you? That's your call. If you want quick results with minimal work and input, they're probably not for you. There are many options when it comes to growing your Instagram account with real followers and likes. If you want a real audience that will love your brand and be loyal advocates, organic strategies are your best bet. These take longer to find success, but create the best audience of followers for your account. One way to increase your followers is to engage with your competitors’ followers. Your competitors’ followers are the perfect opportunity to gain some new followers quickly. If they like your competitors’ content, there is a likely chance that they will like yours as well. They are already interested in your Instagram niche, might as well try and sell them on your product/service right? To steal your competitors followers, you want to regularly interact with accounts that start following your competitors. Especially new followers- as these are likely active Instagram users. Regularly check your competitors accounts, and see who has started following them. Interact with these accounts. Like their photos, follow them, give them comments, and more. You can learn more about the details of this strategy in our post on how to steal Instagram followers from your competitors. A follow for follow strategy, or like for like strategy, are the most effective organic strategies to get followers and likes quickly. However, this is a quick Instagram followers hack and the followers are typically lower quality. There is an entire network of people on Instagram who want more followers. They have decided to follow each other, in return for the community following them back. They will also give you likes on your photos if you like their photos. To find members of this community, search for the #f4f or #l4l hashtags, and like those photos and follow those accounts. Keep in mind that the followers you will receive are just interested in your account for the follow/like, so they may not be in your target audience. For a more in-depth walk through of how to grow follows and likes with this strategy, check out this post. Sometimes it is best to go back to the basics. Organic strategies guarantee you'll get followers without having to worry about getting banned. They just might be slower than what you're looking for. That brings us to our final solution: us! Here at Social Network Elite, our marketing experts use proven strategies that target the right audience for your account needs. We give you the rapid growth in Real Instagram followers and likes, without the risk of getting banned and losing your accounts. We're so confident that you'll love our services that we'll let you try them free with no commitments for 7 days! We guarantee that you'll get at least 300 free followers during your trial. If you don't get at least 300 free followers during your trial, we'll give you another month of our services for free. Ready to EXPLODE your Real Instagram Followers? Click here to try our Instagress Alternative FREE for 7 Days! Social Network Elite provides 24/7 US Based customer support, so you'll always be able to get help if needed. We have over 500 happy clients. Make sure to check us out if you're looking to quickly grow real Instagram followers and likes! Although Instagress has been shut down and is gone forever, that doesn't mean that your options for quickly growing Instagram are too. Manual options and free methods are great low-risk options. There are still automation tools that you can use, and as long as you play by the rules, you can quickly grow followers. With some practice, you'll be Instafamous in no time! Make sure to subscribe to our newsletter below for the best tips and tricks to growing your account with real Instagram followers and likes. Ready to start rapidly growing followers? Get started with your free 7-day trial by clicking the button below!